Welcome To Flat Broke Farm Animal Rescue! 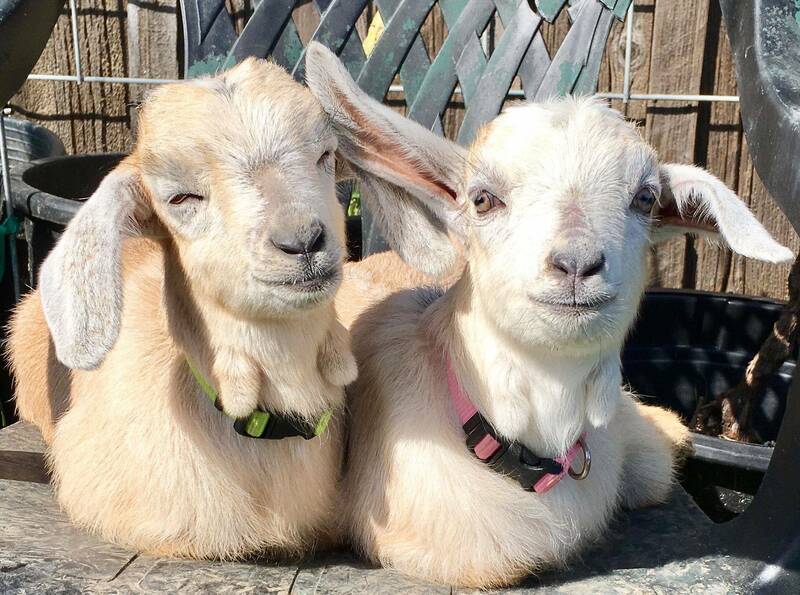 Flat Broke Farms rescues, rehabilitates and rehomes unwanted, abandoned, abused, neglected or displaced farm animals in Marin, Sonoma and Napa counties. We provide a healthy, secure and caring living environment, while providing first-class medical care and community training. All our animals receive medical, behavioral and emotional evaluations and training before eligible for adoption. All potential adopters undergo strict care and environment evaluations and must reside within our tri-county service area. Flat Broke Farm animals are only adopted into forever homes as pets, companions or mowers. We also serve the community teaching both adults and children about the proper animal care and treatment through small-party tours and volunteer programs. Our heart soars watching the animals and their human volunteers flourish with confidence, trust and companionship. Have questions or looking to adopt a new cherished member of your household? Contact us today! Check out the progress of some of our fabulous FBF alumni here! If you build it, they will come. Check out our progress as we renovate our new, expanded Sonoma County rescue farm!